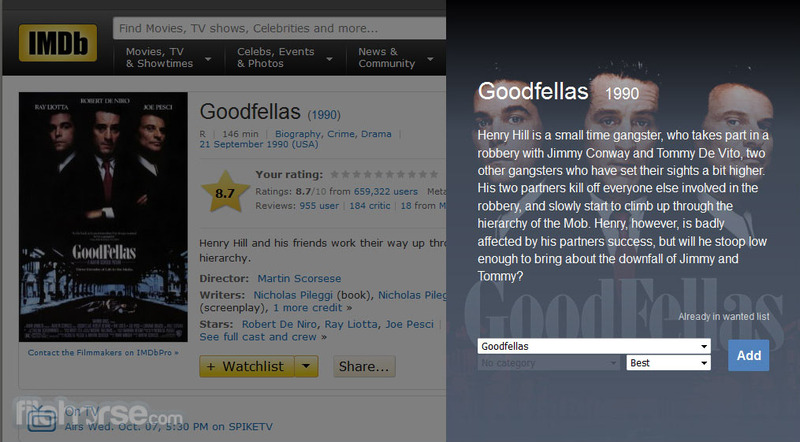 CouchPotato for Mac is a free, open-source automatic movie download application designed to work on Windows, Linux and Mac OS X. 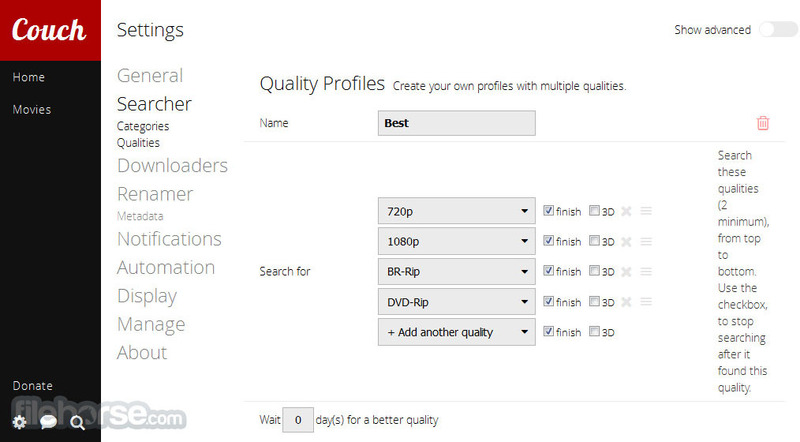 It can perform automated searches via NZB and torrents. 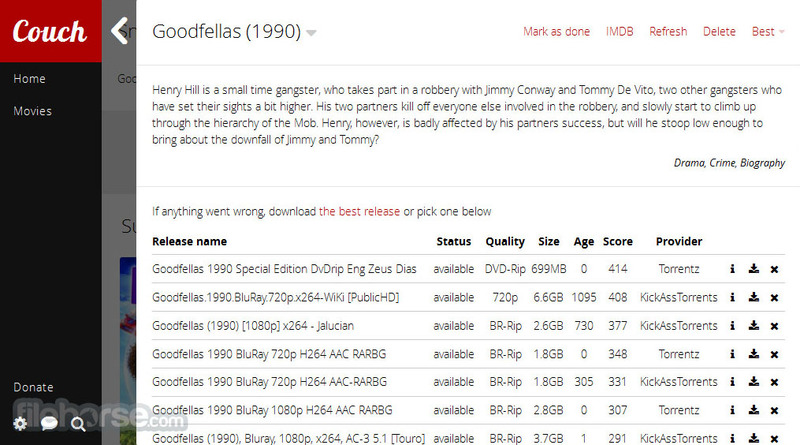 You can use this program for different tasks such as: automated downloading and sending of NZBs to SABnzbd, automated downloading of .torrent files to a specified folder on your computer, movie sorting and renaming, easy adding movies via IMDB UserScript - including trailer downloads, set the quality of files ( choose from different formats: HD, BR-Disk, SD, 1080P, 720P, BR-Rip, DVD-R, DVD-Rip, Screener, R5, TeleCine, TeleSync, Cam - it also allows overwriting if a better quality is found) etc. 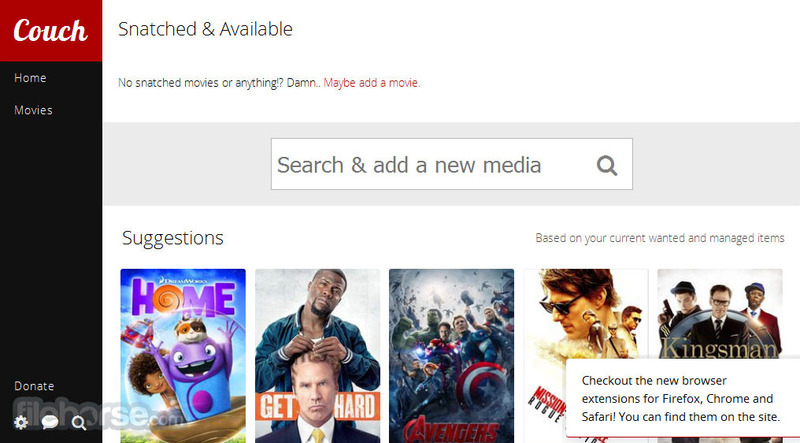 Download movies automatically, easily and in the best quality as soon as they are available! Awesome PVR for usenet and torrents. 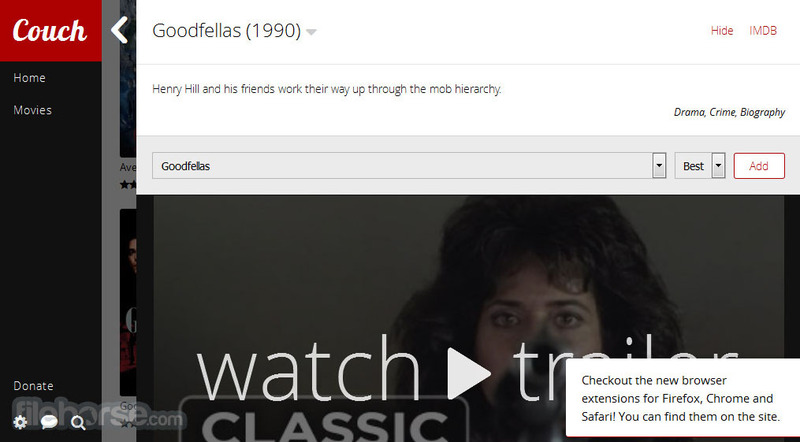 Just fill in what you want to see and CouchPotato for Mac will add it to your "want to watch"-list. Every day it will search through multiple NZBs & Torrents sites, looking for the best possible match. If available, it will download it using your favorite download software.